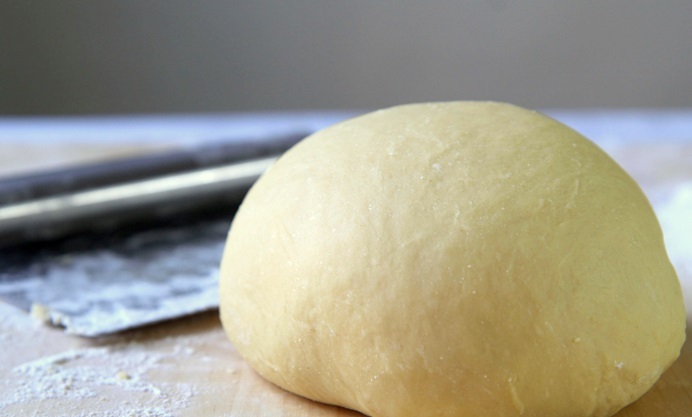 Although it may seem intimidating at first, making fresh pasta at home is an absolute breeze. 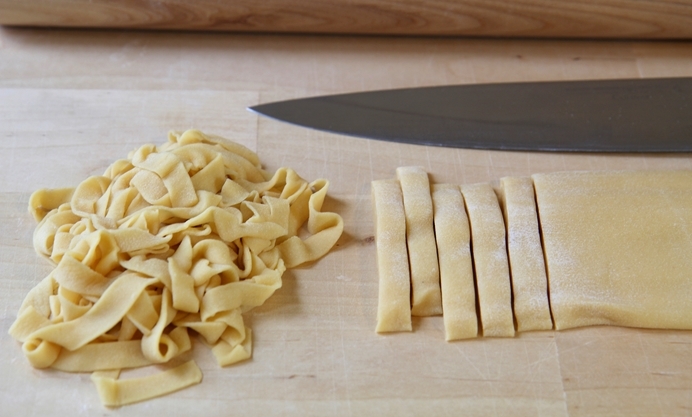 Tagliatelle is probably the simplest shape to tackle for pasta-making newcomers – Filippo’s traditional version is the perfect accompaniment to his Ragù alla Bolognese recipe. 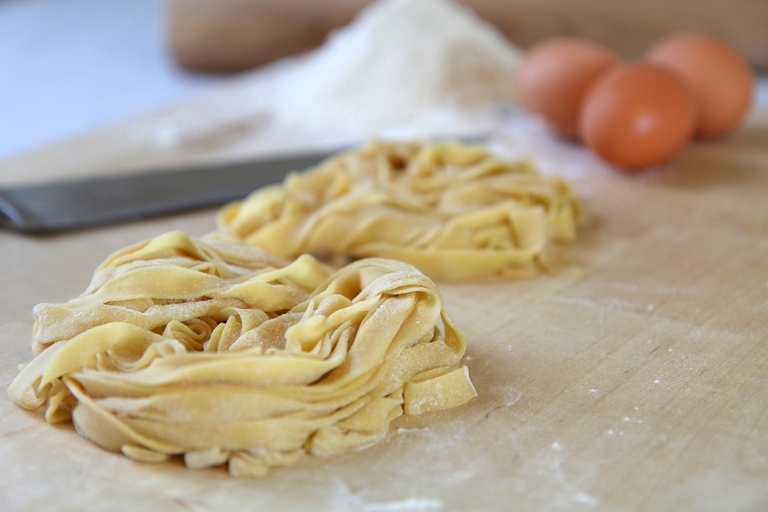 Tagliatelle, lasagna, tortelloni and tortellini … all of these delicious Emilian recipes have one common ingredient: homemade pasta! 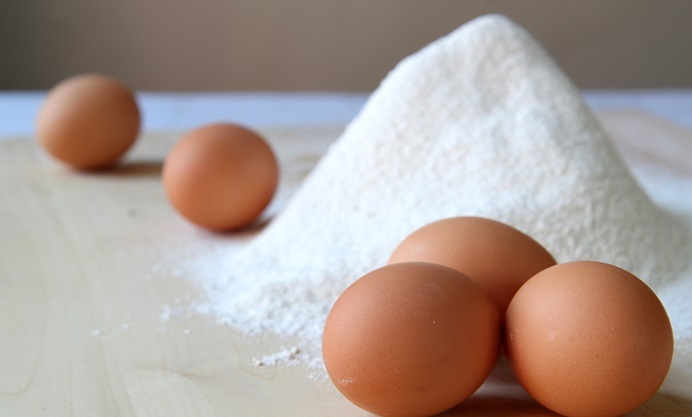 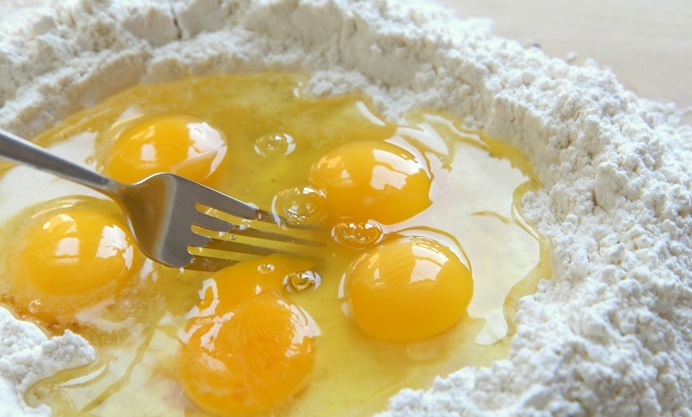 Making the perfect fresh pasta dough is quite simple: just flour, eggs, a little bit of patience, and a good rolling pin. 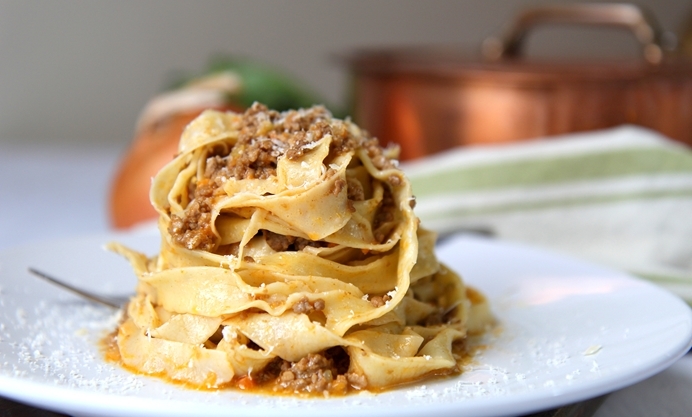 There are many traditional sauces that are the perfect accompaniment to pasta fresca, but the most traditional dressing is certainly Ragù alla Bolognese!